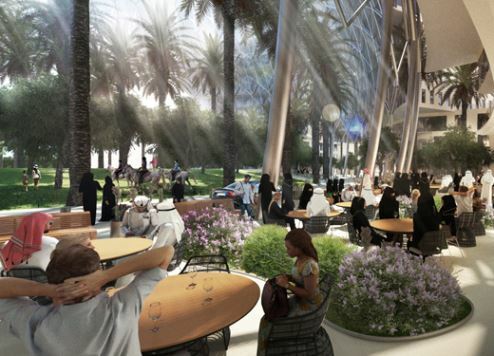 Expo 2020 Dubai has revealed the immense revenue-generating opportunities the mega event will serve up to the emirate’s food and beverage sector. Organisers predict onsite food and beverages sales will generate AED2 billion ($544 million) in revenues during the Expo, which will be staged from October 20, 2020 to April 10, 2021. During peak visiting times, up to 85,000 meals are expected to be served per hour across 30,000 square metres of front-of-house space dedicated to F&B. In addition, an estimated five million meals will be needed to sustain Expo’s onsite workforce during the six-month event. To ensure small- and medium-sized enterprises (SMEs) in Dubai’s food and beverage sector capitalise on the opportunities available, event organisers are staging a workshop outlining how they can get involved. The BusinessConnect session, which is being held this week, will highlight the wide range of F&B opportunities available to SMEs at the actual event and through Expo’s supply chain. Expo 2020 Dubai is committed to supporting the region’s SME sector as part of its plan to achieve a lasting economic legacy. Last year it announced that 20 percent of direct and indirect Expo spend would be awarded to SMEs. Manal AlBayat, senior vice president, Business Development and Integration at Expo 2020 Dubai, said: “This is a major opportunity for SMEs in the food and beverage sector to engage with Expo 2020 Dubai and find out how they can become part of our plans to showcase the many cuisines and cultures within the UAE to millions of visitors from around the world. The F&B session will be the latest edition of the BusinessConnect series, which has been developed by Expo 2020 Dubai to connect with businesses and encourage conversation, exchange ideas, share expertise and deliver the best solutions. The series aims to shift the traditional model of procurement to one based on the value of collaboration, with each edition delivered in the format of an open dialogue and focused on a specific aspect of Expo 2020 Dubai.